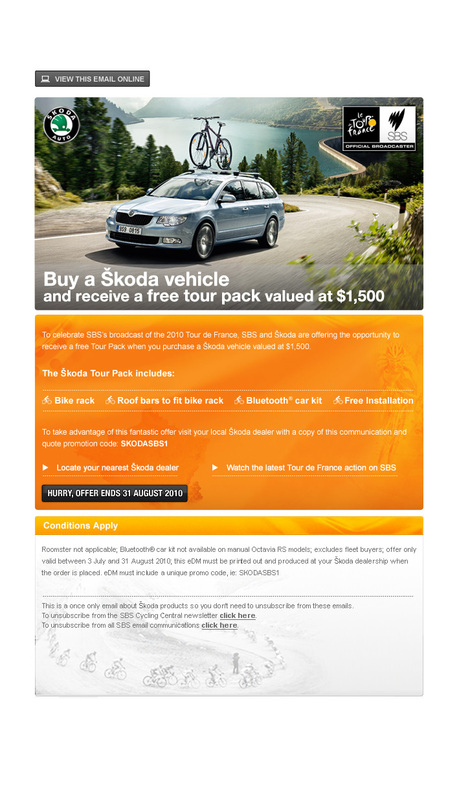 Skoda was running a joint promotion with the Tour de France. The special offer led the users to a sign-up page and encouraged them to enter the competition and win great prizes. We designed the newsletter and customised landing page for this campaign to trigger lead generation and also award users with a lucky draw. Project was developed in-house at SBS studio.